Hulls, decks and pilothouse are constructed from vacuum bagged SP Systems Ampreg epoxy resin and high performance glass laminate cored with “Core-Cell” SAN foam and PVC foam. All exterior surfaces are spray painted with linear polyurethane coating. A painted boot stripe in a contrasting color is included. Crossbeams are built of uni-directional carbon fiber/epoxy with foam cored epoxy/glass bulkheads. Extensive use is made of uni-directional carbon fiber reinforcement in high load areas of hulls and decks. Interior joinerwork and floorboards are all cored panels to provide stiffness at low weight. Twin Yanmar 4JH5E (55 HP) diesel saildrive engines. Bronze geared folding type propellers. Rudder blades are fiberglass composite, high performance hydrofoil section with solid Titanium rudder stocks turning in low friction bushings. Twin station cable and sheave steering using premium Edson components and roller bearings. Custom cockpit steering pedestal with compass and engine controls. Mast, main boom, jib boom, forward crossbeam and compression beam from Sparcraft. Masthead light, masthead VHF, wind instruments. Boom has internal reefing lines, topping lift. Self tacking jib hardware with Profurl reefing/furling unit Profurl reefing/furling unit for Genoa jib. All type 316 1x19 SS Dyform wire rope stays and shrouds. Navtec rod for mast diamond stays. 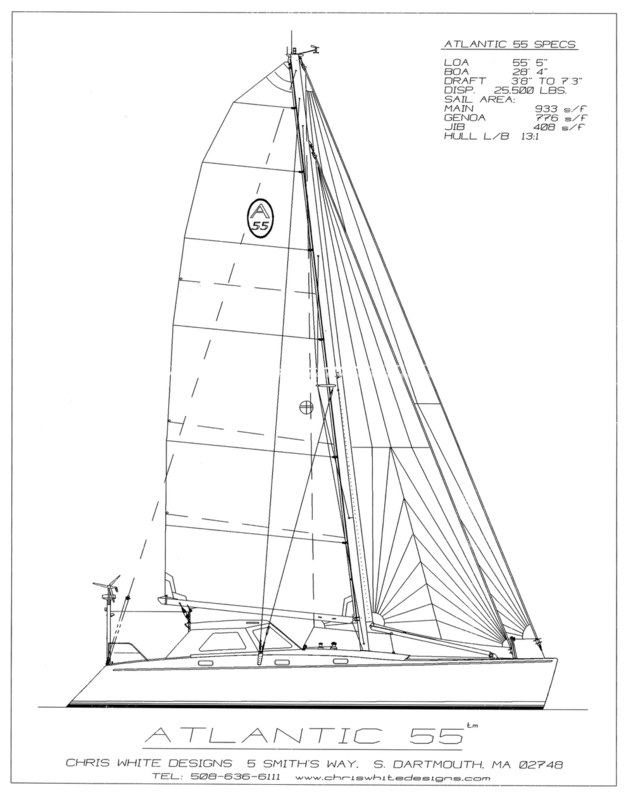 One, ST56- electric #56 for mainsheet/main halyard. One, ST48 staysail sheet and reef lines. Two, ST56 for reaching genoa/spi sheets. Three, ST48 for traveller/runner controls and staysail traveler. Harken Mini-Maxi main sheet traveler 11’6” long. Harken self tacking jib traveler, 12’ long. Two cored epoxy/glass “hi lift” centerboards in epoxy/glass laminate trunks with low friction bushings. Up and down control lines to cockpit mounted line driver. Each hull has two collision bulkheads forward. 4 x 250 wawtt output each. 12-volt circuit breaker panel with voltage and amp meters. Two Genasun LiFeP04 (Marine Lithium) house batteries, separated into two banks. (2) separate engine start batteries. Cantalupi (switched white/red) dome and LED reading lights. Resolux full spectrum fluorescent lights in galley and work areas. LED red night lighting within the pilothouse. Victron Quattro Inverter Charger (230V/50-60Hz, pure sine wave) to provide AC power from the batteries. 230v AC outlets are installed in the following places. (1) each head, (1) galley, (1) workbench, (2) nav. Station, (1) port side of pilothouse settee. (2) aluminum 100 gallon diesel fuel tanks each with deck fill, shut off and gauge. (2) composite 80 gallon water tanks each with deck fill, vent and gauge. Stereo, AM/FM/CD with pilothouse speakers. Custom fabricated SS stanchions and lifelines. Custom fabricated polished SS pushpits. (4) SS Transom grab rails. Lewmar V4 windlass with rope/chain gypsy and dual direction switch. Four (4) 5/8" 3 strand nylon docking lines each 50' in length are supplied. LED masthead Tri-color and anchor light. Mast mounted steaming light with deck flood light. LED deck level running lights. Exterior Lighting: Aft deck amber LED lights. Aft deck floodlights.